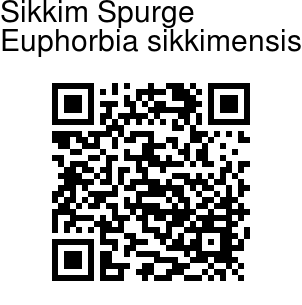 Sikkim Spurge is a stout perennial herb, with a woody rootstock, growing up to 1.2 m tall. Leaves are linear-oblong, pointed tipped, with base narrowing to a short leaf stalk. Floral leaves are whorled. 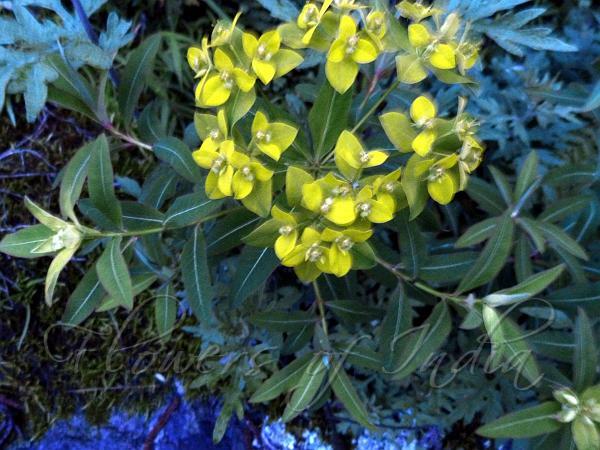 There are 3-4 yellow leaves just below the flowers, which are ovate-oblong, with blunt tips. Male flowers are many, slightly exserted from involucre. Female flower: ovary pedicellate and extended out of cup, smooth, hairless; styles free, caducous; style arms 2-lobed. Capsule is spherical, about 5 × 5 mm, smooth, hairless. Flowering: April-July.